Bernwood (Paula Brancati, Slashers) is an anti-conspiracy video blogger. 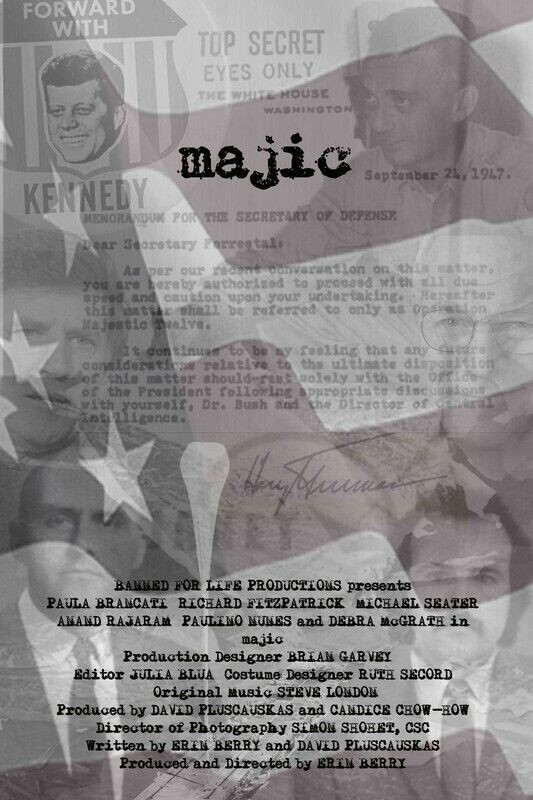 She spends all her time debunking conspiracy theory until she gets a note from an old man claiming to have worked for the legendary Majestic-12 (aka majic), a secret US spy agency, created after the UFO incident at Roswell, New Mexico in 1947. So begins her trip down the rabbit hole looking for answers as reality as she seems to know it is unravelling. Sitting squarely in X-files territory and plays brilliantly with alternate realities and what we perceive to be real.